Discover your perfect Caribbean VIP getaway package! Compare and book your luxury Caribbean package holiday from our list of latest online special offers. We have a range of fantastic Caribbean resort travel deals including; our Galley Bay Resort & Spa and Palm Island Resort locations, with amazing savings for your next trip to the Caribbean. If you would like any more information on our offers or our resorts, contact our UK team on 01245 459906 or via email on res@eliteislandresorts.co.uk. Exclusively for adults, Galley Bay Resort & Spa sits in 40 acres of tropical gardens in Antigua to create a secluded fairy-tale setting for its visitors. Situated along a stunning white beach, this resort was named amongst the “Top 100 resorts of the world” and the “Top 10 best resorts of romance in the Caribbean” by users of Tripadvisor.com. With 98 beachfront rooms and suites, the accommodation at this resort will blow you away and make for a holiday like no other. 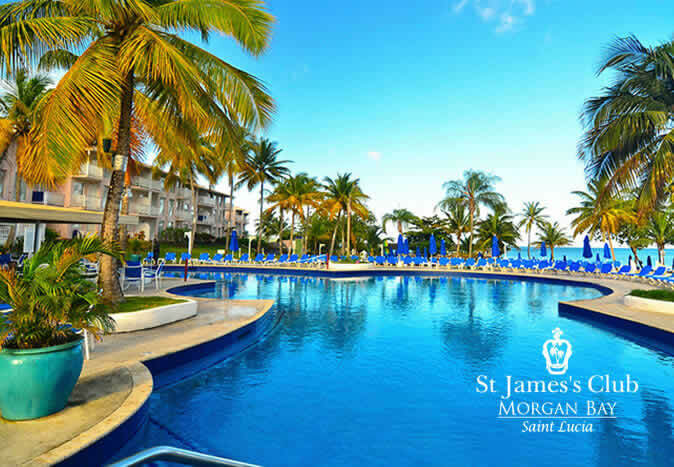 St James’s Club, Morgan Bay resort is on the idyllic island of St. Lucia with unforgettable views and superb amenities. Visitors will experience ultimate relaxation as they land in paradise to enjoy an unbeatable all-inclusive break. This waterfront resort has 335 outstanding guest rooms and suites, several restaurants and bars offering dining experiences you won’t forget, as well as activities to suit everyone. 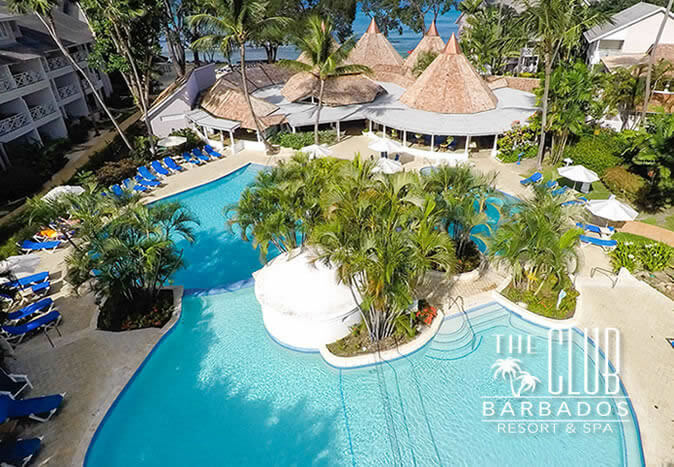 Located on the west coast of Barbados, The Club is an all-inclusive resort exclusively for adults who want to escape to pure luxury. With fine dining, drinks, water sports and entertainment all included in your package, you don’t need to worry about a thing. This luxurious and intimate backdrop is the perfect location for a holiday of a lifetime with unbeatable amenities and outstanding service. You will be spoilt for choice when it comes to exquisite food and bars, don’t miss the Rum Shop Bar for your chance to sample the famous Barbadian favourite. 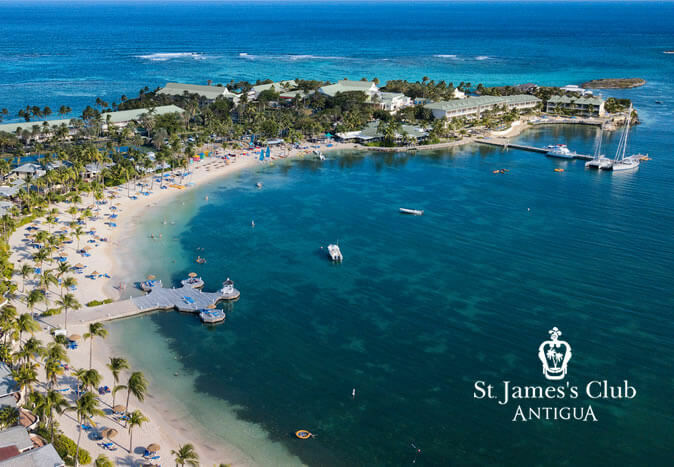 Offering a true Caribbean country-club experience, St James’s Club & Villas is a resort where you can completely unwind and hit the reset button. 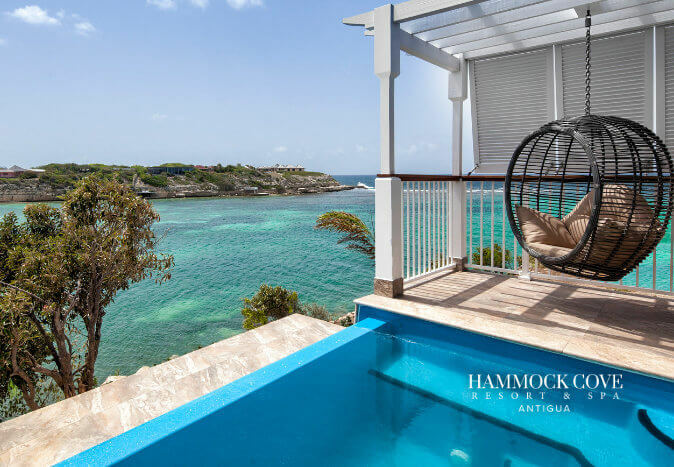 This hidden gem is tucked away on a private 100-acre peninsula on the south-eastern coast of Antigua and provides all-inclusive accommodation in the way of suites and villas. 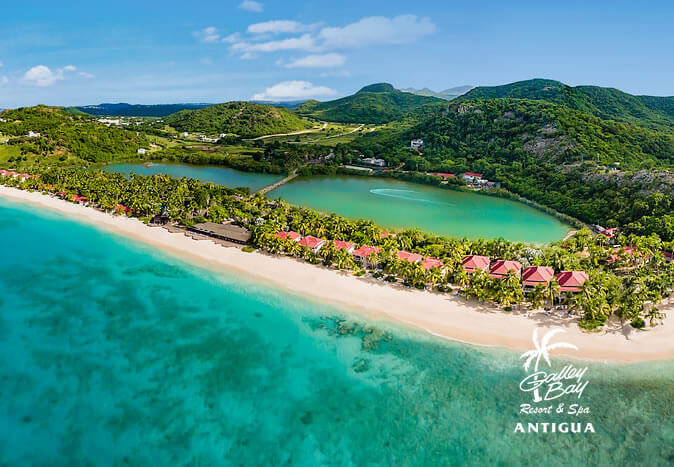 Whether you’re arriving as a single, couple or with the whole family, this resort will welcome you with open arms to share the boundless beauty of Antigua. 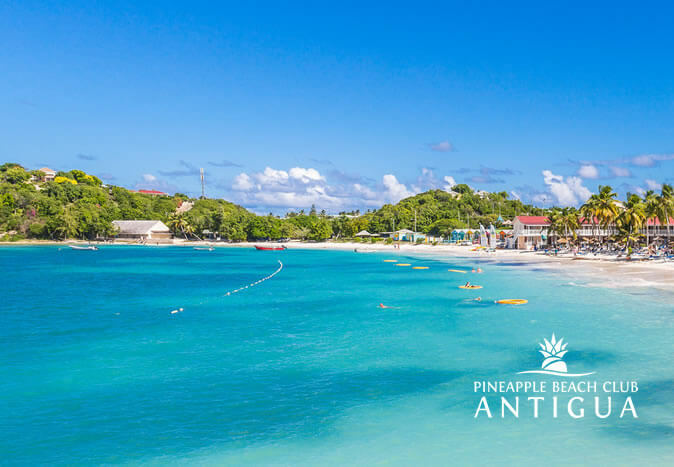 If you’re seeking laid back fun and a place to truly unwind and relax, Pineapple Beach Club is the perfect adults-only location for singles, couples and groups alike. Overlooking one of Antigua’s best white-sand beaches, this all-inclusive resort offers an array of activities from fitness, cooking, water sports and off-site excursions, so you can soak up the scenic oasis of the island. You don’t get more exclusive than Palm Island Resort & Spa. 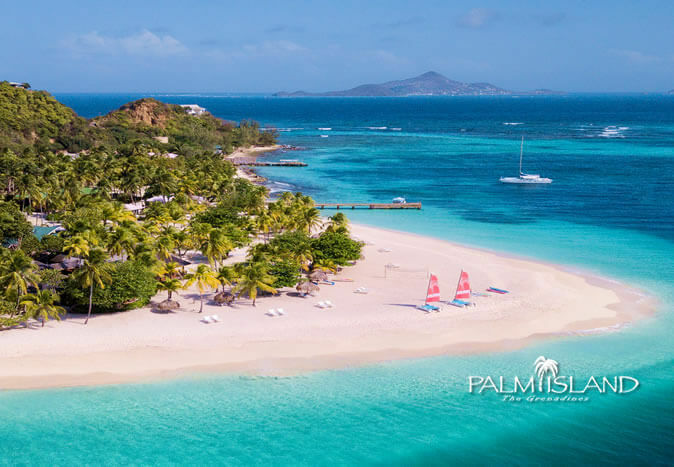 Situated on its very own 135-acre island in The Grenadines, this resort is perfect for those hoping for isolation, beauty and tranquillity. With exceptional all-inclusive services, you are guaranteed to feel like a VIP on your break, with luxury accommodation and the choice of incredible activities, including kite surfing, custom beachside picnics, hiking and relaxation in the boutique spa. 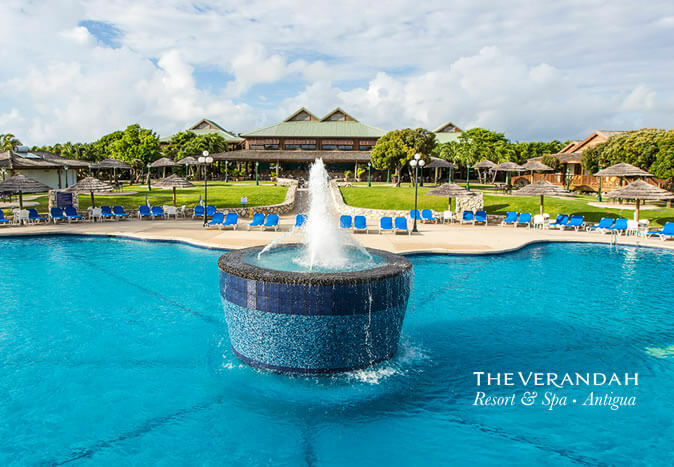 Surrounded by 30 stunning waterfronts, hiking trails and the Devil’s Bridge National Park, The Verandah Resort & Spa has been created in an eco-friendly manner to provide a stunning resort that adds to the beauty of Antigua. With 180 open-plan suites with Caribbean-inspired decor, you can admire the elegance and allure of Antigua from your own private veranda. Whether you want a flavourful buffet or fine dining at its best, this resort offers a dining experience to savour with bars by the pool and beachfront for evening drinks. This Caribbean paradise is surrounded by 30 stunning waterfronts, hiking trails and the Devil’s Bridge National Park. All our spacious suites have balconies from which to enjoy the boundless beauty of Antigua.